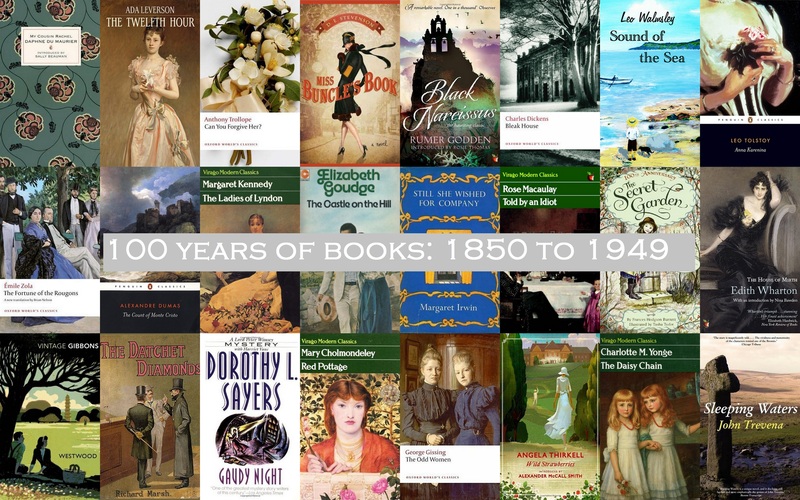 A new project for 2014, 2015 and beyond – 100 years and 100 books. I have read 43 of 100 books – 57 to go! What an interesting project! Have you pre-selected the books or are you just seeing how they fit in as you go? A bit of both – I’m reading the books I want to read and filling years as I can, but I also have a notebook with a page per year to note possible titles that I’ll use when I need to. You never seem to see these sort of books in second hand shops any more – it’s just (unfortunately!) the last few Richard and Judy selections! Totally rubbish, I think! I agree with crimeworm.I have given up looking in charity/secondhand shops for gems.It is such a shame.I think some charity shops bin odd or older books in favour of new paperbacks which can be read from the library for free. I’d love to find some Golden Age crime (not originals, obviously, but from the 70s or 80s) – even some Ross MacDonald books, but it’s the same tripe in every shop – sometimes more than one copy of each book. I remember all of the elderly widows and unmarried women in our tiny village had tons of books. And they all took a broadsheet every day, and loved doing the crossword. Of course, nowadays you’d be told not to go in anyone’s house, probably quite rightly! But it was a tiny village on the Isle of Mull – so quiet! Very original challenge….I will follow your progress and hope to discover some interesting books as well!